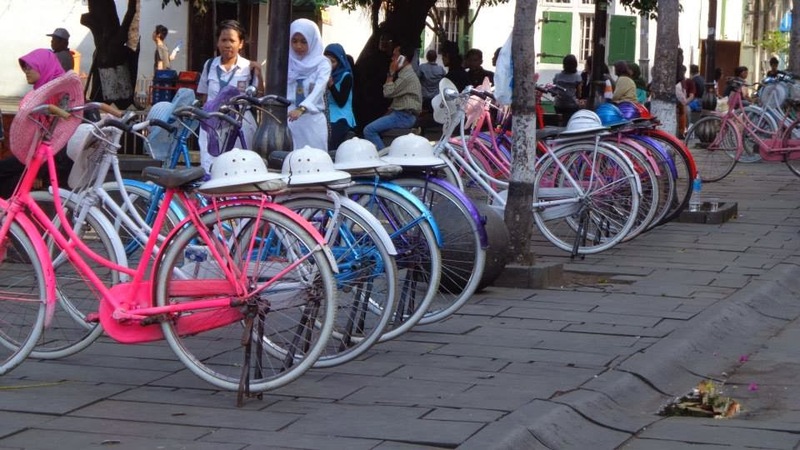 I kick started my six week trip through Southeast Asia in Jakarta. 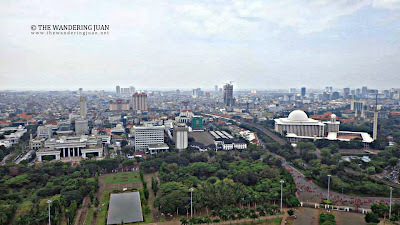 Jakarta was a lot like Metro Manila, the insane traffic, the crowds of people, and the towering buildings. 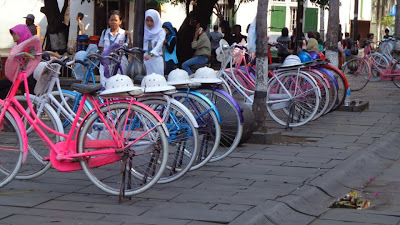 But despite the traffic and the crowds, I wandered the streets of Jakarta to discover all that it had to offer. 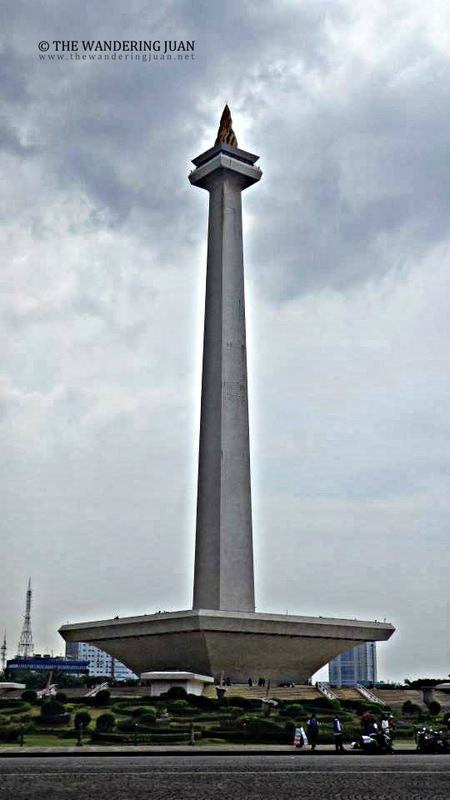 Monas Monument or National Monument stands 433 feet and was opened to the public in 1975. 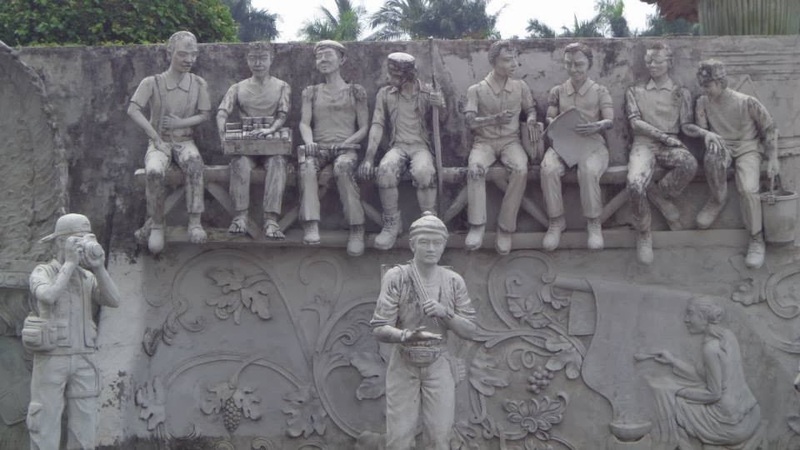 The monument symbolizes Indonesia's fight for independence. My new found friend and I decided to enter the monument and check out the museum for 5,000 IDR. 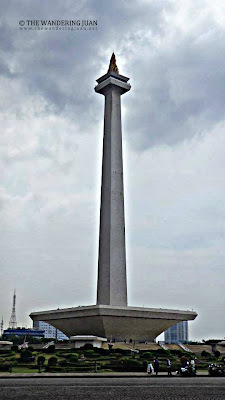 We decided to go up the Monas Monument to get an overlooking view of Jakarta. There was a fee of 10,000 IDR to ride the elevator to the top. 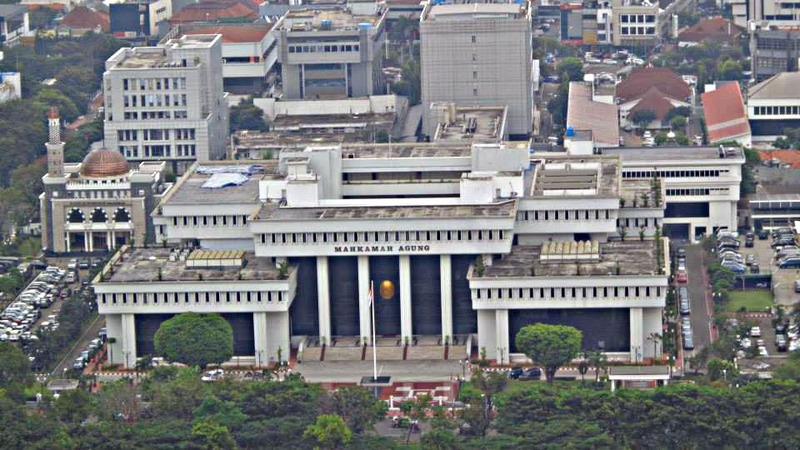 There were some interesting looking buildings that surrounded the Monas Monument. There were also neat looking sculptures at the base of the monument. We didn't walk all the way to Old City because it was too far, so we decided to take the bus. 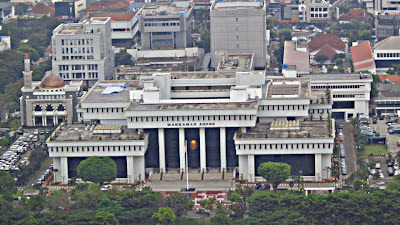 Indonesia was formerly a Dutch colony as seen by the influence in architecture. 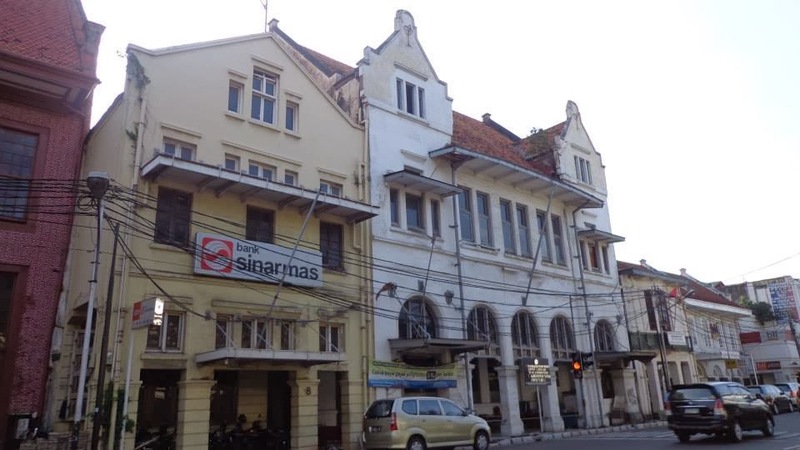 This part of Jakarta was called Batavia by the Dutch and was once used as a primary commercial area for trade around the world. Its strategic location, made it the center of trade in the region and other parts of the world. One could clearly see the Dutch influence on the buildings in this part of Jakarta. Sadly, a lot of the buildings are left in disarray. I hope that the government does something to maintain the buildings in Old City. Jakarta had a lot of impressive buildings, but there was something missing when I went there. It reminded me of Manila in some ways such as traffic, big malls, and crowds. I thought Jakarta was ok, but I don't see myself going back unless it was for business. 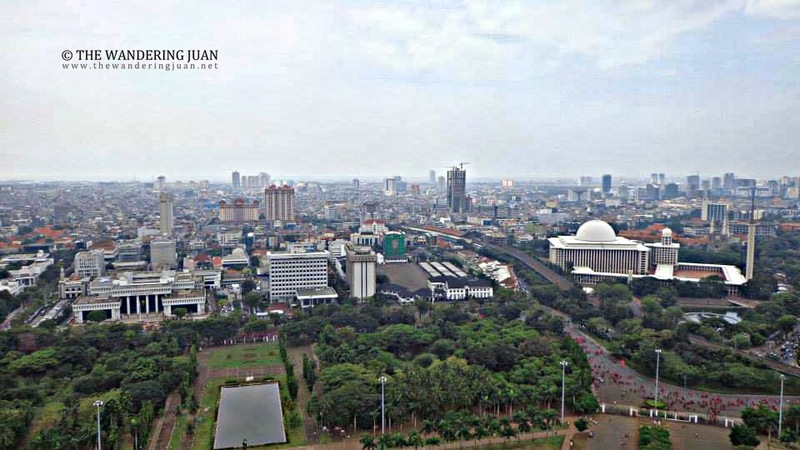 Despite having an efficient public transport system and more trains (compared to Manila), Jakarta was still bogged down by intense traffic even during off-peak hours (around 10AM to 3PM). 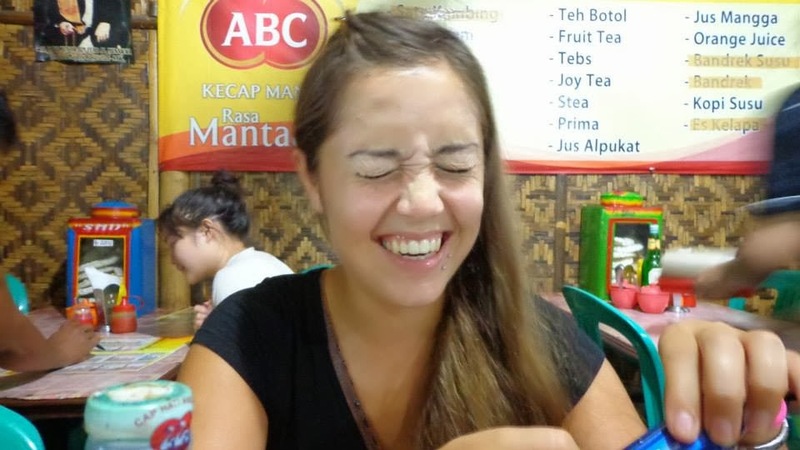 Thankfully, I met other travelers in Six Degrees which made my stay in Jakarta memorable, and I ended up traveling with some of them in other parts of Indonesia. I was more than willing to answer their questions about the Philippines. I was surprised at how little they knew of the country, and that unknown factor made them decide against visiting the Philippines. She may not look like one, but she's half-Indonesian and half-Dutch. Cheers to new friends and more adventures. I guess Jakarta and Manila are twin cities in terms of problems they face like traffic. 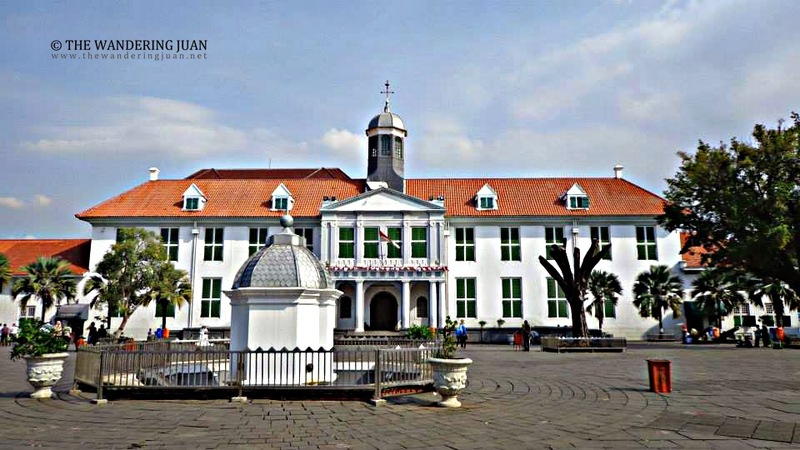 It would be nice to see the Jakarta side though and have a glimpse of their culture. 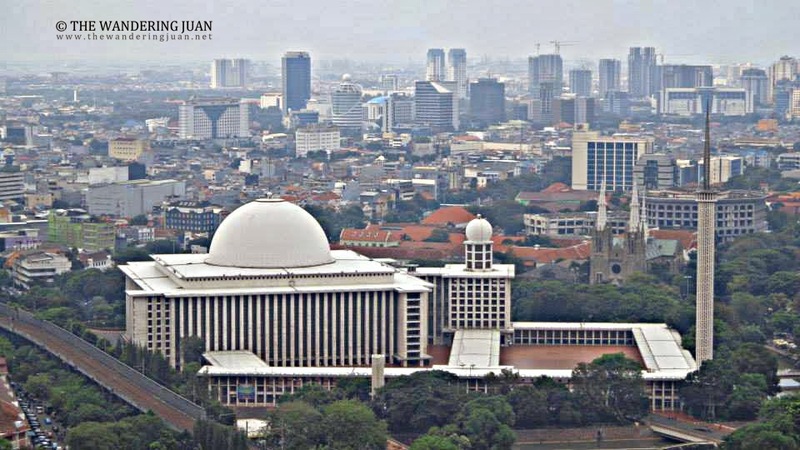 Jakarta for me is nothing but just a capital of Indonesia, but after reading this post, I find it quite impressive place to visit in the future. If it's like Manila, do they also have pickpocketers and snatchers? It's so nice to go to other places and compare the places you have traveled to. In a way, you've learned so much from the scenery you saw. Not that I see the metro as less than a scene for a traveler but I would really love to know more about their historic ruins, rustic life, and culture. I really wanna know this city more since it's like Manila but I wanna know more about their culture and history of their country. Ahhhhh Jakarta! You're right... my friends told me that it's a lot like Manila, only that people don't speak Tagalog. Lol. And it's also true that Jakarta traffic is truly insaneeeee. 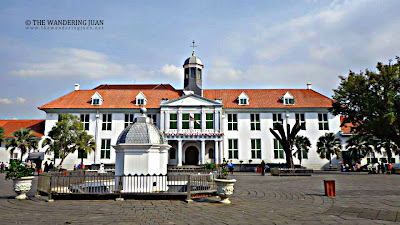 I've never been to Indonesia but it's nice to know that Indonesia's politics were run by different empires or regional rulers before the imposing of Dutch rule and modern Indonesia now is developed into a profitable colonial empire. 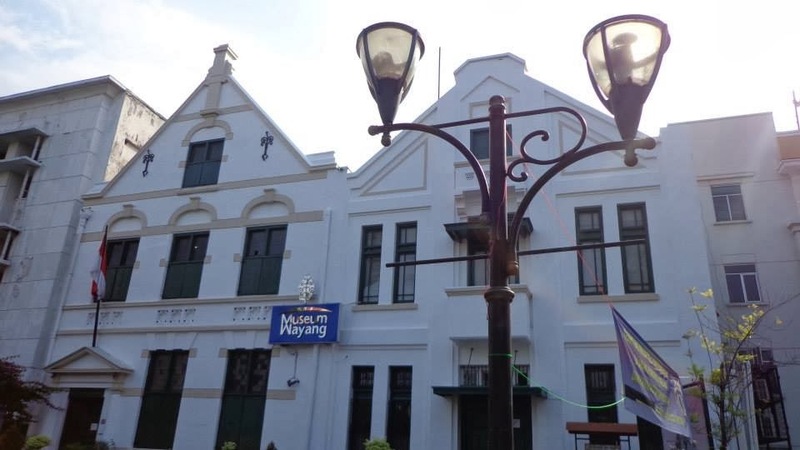 I got curious on what the Museum has to offer to visitors. I hate being caught in a traffic jam so I guess I stay away from Jakarta. Bali is a good alternative. i hope i can travel in jakarta one time. i've been to other parts of indonesia but not yet in jakarta. spotted the lovely bikes and the cute girl! if there is something that will make me decide not to go to a place... it'll be traffic jams... but want to also try the place. Yahweh bless. They have nice architectures but if you would be stuck in a traffic for hours, I'd rather not go and see those structures. :) It's really nicer to travel if you have friends to go with.